The party season will be incomplete without a little black dress. But by adding color and bling to the party must-have, you can look different every time you step out to let your hair down. – Neon-colored jewelry like neck-pieces, earrings and bracelets can create a fun look. – You can even wear a little black dress with gold and silver accessories. Use interesting pieces like brooch, belt or wristwatch in metallic colors. – You can also create a girly look inspired by 1940’s fashion with a black dress. Take a cinched waist black dress with flared hem and throw on some pearl pieces. 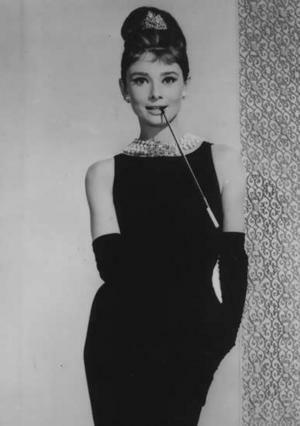 – You can even create a look inspired by popular Hollywood actress Audrey Hepburn. Use a statement pearl neck-piece and wear black peep-toes or stilettos. – Try teaming up your LBD with leather boots, jacket and some denim pieces to give it a grungy twist. Throw in a shrug made of worn-out leather or denim over the dress and team it up with knee-length funky cowboy boots. Voila, you’re ready to rock and roll.